With 7 days until Arizona Gives Day, Tuesday, April 2, 2019, meet Zara. Zara was a brood mom who came to us from Kansas in November 2018 with severe dental disease resulting in the extraction of over 30 teeth. 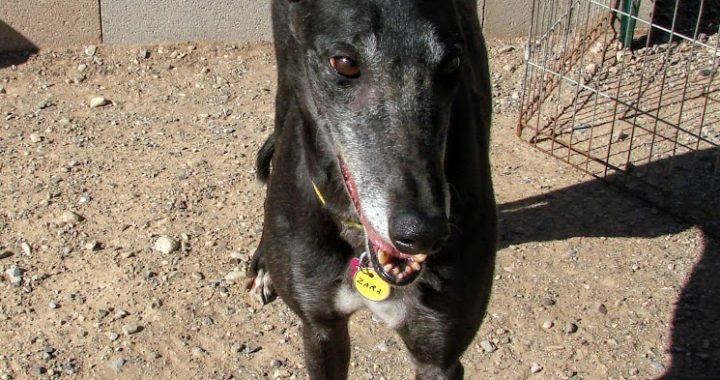 Please remember Southern Arizona Greyhound Adoption on Tuesday, April 2, 2019.